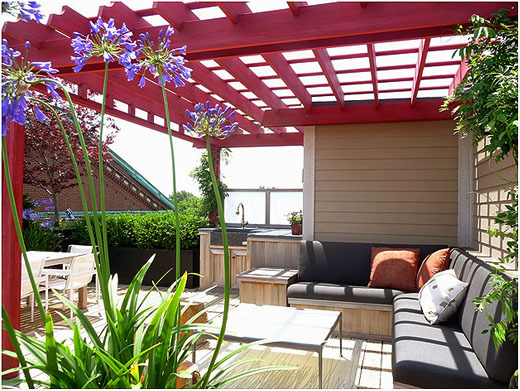 This Boston rooftop presented an opportunity to design a pergola over an outdoor kitchen and sitting area. 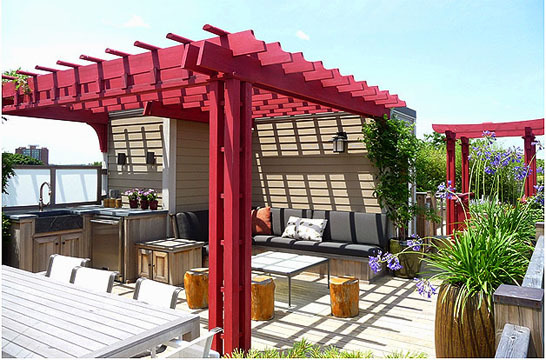 The pergola provides shade and establishes an intimate outdoor setting. The double Tori Gates, joined by a walkway and railings, connect two areas of this large, urban rooftop garden. 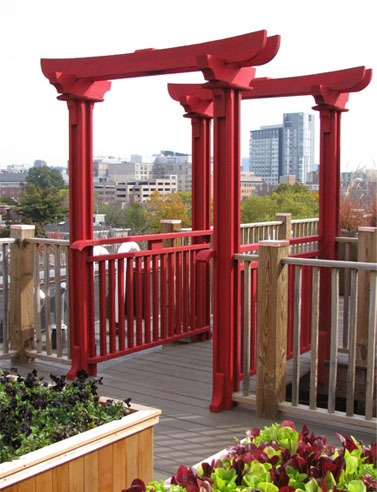 A red stain was applied to create a strong visual accent and works beautifully with the Asian theme of the garden.